A sophisticated musical carousel from the Distinction Series. Listen to the enchanting melody whilst the three majestic horses turn gracefully to reveal their exquisite subtle differences. 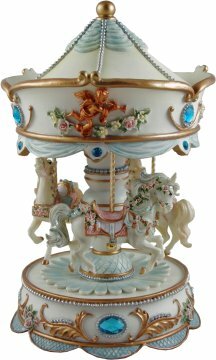 One of the finest musical carousels revered by collectors around the world.